Bringing the first Bitcoin ATM to my town! It's been a exciting journey for me and cryptocurrency. Starting four years ago buying a fake I.D and really ramping up towards the beginning of last year. I have learned a ton, and feel like I have a firm grasp on the technology and a pulse on the industry. I have moved from a observer, to a user, investor, acholight, miner and now entrepreneur. This next step will be the most difficult yet, requiring a a lot of extraneous factors to go right. Regulation, location, banking and logistics are all going to be hurdles to overcome. Luckily I'm not alone in this. A fellow crypto enthusiast @cryptooutsider is partnering with me. This will help a lot dividing up the work for this venture. We also will hopefully be able to play off each others strengths. 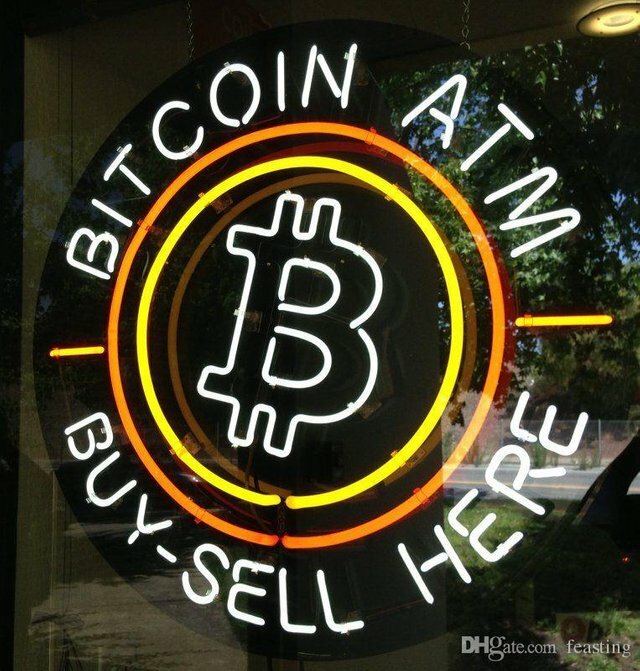 For those who don't know what a Bitcoin ATM is (and I'm sure there arn't many here that don't) It is a ATM where you put in cash and it gives you Bitcoin, simple as that. The advantages for a business would be of course they would get a flat fee or percentage for hosting the location of the ATM. It would bring in more foot traffic to a varying degree, and there would be no downside risk, so hopefully this ATM sells itself! I will surly continue with updates in future posts and how this whole adventure turns out! Lol oh God dont admit you bought a fake ID!